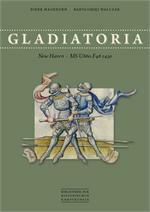 The "Gladiatoria" group of German fencing manuscripts are several editions of a treatise on armoured foot combat, specifically aimed at fighting in a judicial duel. Gloriously illustrated, and replete with substantial explicatory text, these works are some of the greatest achievements in the corpus of late medieval fight books. In this gorgeous, full color volume, authors Dierk Hagedorn and Bartłomiej Walczak present their work on the copy of this treatise now in the Yale Center for British Art, including a reproduction of the manuscript, a full transcription, and translations into modern German and English. And as if that were not enough, the front matter features articles and essays about the fighting tradition found in the manuscript, as well as analyses of the book itself, arms and armour of the mid-15th century, and even a tale of Mr. Hagedorn's adventures in tracking down the manuscript! Further, the authors have included contributions from such luminaries as Sydney Anglo, Hans-Peter Hils, and Daniel Jaquet. A beautiful manuscript, lovingly rendered in a beautiful, modern, color-edition; this book is a must for students of medieval fighting arts, and arms and armour enthusiasts. Perhaps no other weapon represents Renaissance Italian fencing like the rapier. But do we know how it was used and how it was taught? This book takes you to the fencing School, or Salle of celebrated renaissance rapier Master Nicoletto Giganti of Venice, one among the period teachers leaving instructions on the use of this weapon. More uniquely, his 1606 text The School, or Salle is a veritable training curriculum, with its stepwise lessons and easy-to-follow explanations on the use of the rapier alone and rapier and dagger. 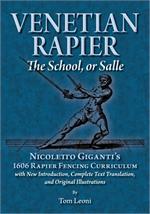 This faithful translation of Giganti's The School, or Salle by internationally-known rapier teacher Tom Leoni includes the complete text, original illustrations, and an introduction on rapier fencing that will make Giganti's text easy to follow. The medieval knight was a well-trained fighting man, expert in the use of sword, lance, spear and dagger, and member of a warrior aristocracy whose values, virtues and vices helped shape European society for over 500 years. 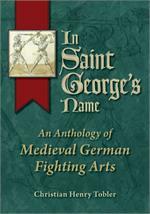 As a window into the knight and his craft, In Saint George's Name: An Anthology of Medieval German Fighting Arts brings readers a treasure trove of historic combat treatises, musings on the culture and context of the martial arts in the late Middle Ages, and hands-on training exercises for wrestling, dagger, falchion, and poleaxe. Join medieval combat expert Christian Henry Tobler on an expansive journey into the lost world of chivalric fighting arts, certain to thrill martial artists, arms and armour enthusiasts, and lovers of history alike. Dating from the 1520's, Bolognese swordsmaster's Antonio Manciolino's Opera Nova is the earliest surviving printed book on Italian martial arts. This seminal and eclectic Renaissance work contains clear and systematic instruction on the use of the sword and small buckler, sword and large buckler, sword and targa, sword and dagger, sword and cape, two swords, sword alone, and sword and rotella, plus a fascinating compendium on the use of polearms. 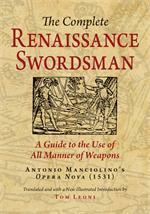 Clearly and elegantly written, Manciolino's text is one of the best and clearest presentations of the martial skills required of the ideal Renaissance man. For the first time since its original publishing, this book has been translated into English by experienced historical fencing instructor Tom Leoni. Also included is a valuable and extensive technical introduction, complete with illustrations from both original sources and modern photographs, making it easy to follow Manciolino's instructions, sword-in-hand, even by beginners, while providing years of training for veteran martial artists. We strongly recommend the Mobi/Kindle format,, because the images will be larger and are presented at higher resolution. Fortunately, Kindle has a free reader app which will work on almost any PC, Mac, tablet or phone. However, if you absolutely prefer an ePub format, you will find any electronic editions we release available in ePub at iTunes, Kobo, OverDrive and Google Play. Like all good technology, the Kindle Reader can be quirky. If you do not see your download appear immediately, don't worry, it's there! Open the app and go to "Tools" and then "Sync and Check for New Items"; this should get the job done!